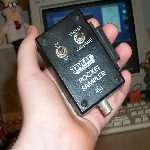 A simple linux kernel module to drive the August 1996 EA Pocket Sampler. 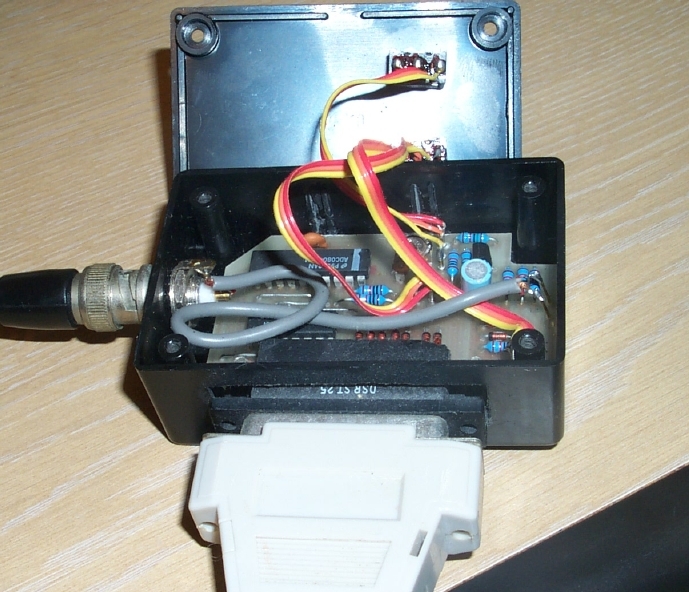 Some time ago (1999-05-11) Max Lock emailed me about the driver and hardware unit, he was kind enough to email me some PDFs of the kit plans. These are a little more modern than mine, this unit has a precision voltage reference and requires no calibration, identical ADC hardware though. Honors O_NONBLOCK and is concurrent read() safe. It should compile on linux 1.2.13, 2.0.3x and 2.2.1x, and most likely will work on later kernels too. read() Returns lines of 4 integers. The first two are the sample time, epoch seconds, and microseconds (from do_gettimeofday()). The third is the level switch position for that sample (2 or 20 volts). The forth is the raw sample, 0-255. In single shot mode (see below), a single sample is returned on read(), later reads on the same file descriptor will return 0 bytes readable. In periodic sampling mode, a blocking read() will occur, making the device node appear like a pipe. write() Writting to the device controls the sampling interval. An integer in plain text is written to the device to change the sampling period. A zero will yield single shot mode, any other value will cause a sample to be taken every 100ms times that value. The default intial value is zero, or single shot mode.